Hundreds of immigration organizations from Pacific islands have inundated the Australian and New Zealand governments with requests urging them to relax immigration policies so that people who are under threat from global warming stand a better chance to get away from their islands. The organizations wrote an open letter addressed to Australian Prime Minister Kevin Rudd and New Zealand Prime Minister Helen Clark. They requested an increase of permanent immigration numbers so people from small islands in the Pacific are facilitated with better options if the effects of global warming really begin to kick in. The Australia and New Zealand governments must begin a real process of partnership with Pacific Island countries in finding ways to prepare for and assist with the resettlement of Pacific Island people who will be displaced by global warming,” the open letter states. Lawson said that governments in Australia and New Zealand would do best to invent a new immigration category for people forced to resettle because of climate change in their immigration legislation. “We think there needs to be a special category in our humanitarian program that recognizes the displacement caused by climate change,” said Lawson. 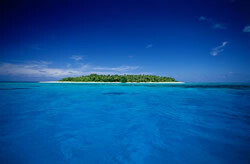 The organizations have a point; two islands under threat from the effects of global warming are Tuvalu and Kiribati both face a gloomy prospect. They lie low and are at risk from sinking as sea levels rise. Plus they are vulnerable to damage from storms.